The final leg of the great Indian ride hailing saga is finally upon us. Softbank is pushing for Uber and Ola to merge, and the companies could come together in a couple of months, Business Standard has reported. The two companies have been in talks for over a year regarding a possible merger, but the talks have supposedly gained steam in the last few days. OfficeChai was unable to independently confirm the developments. “Talks have been on between the senior executives of both the firms (Uber and Ola),” a source told Business Standard. “The deal may be closed in a couple of months,” they added. 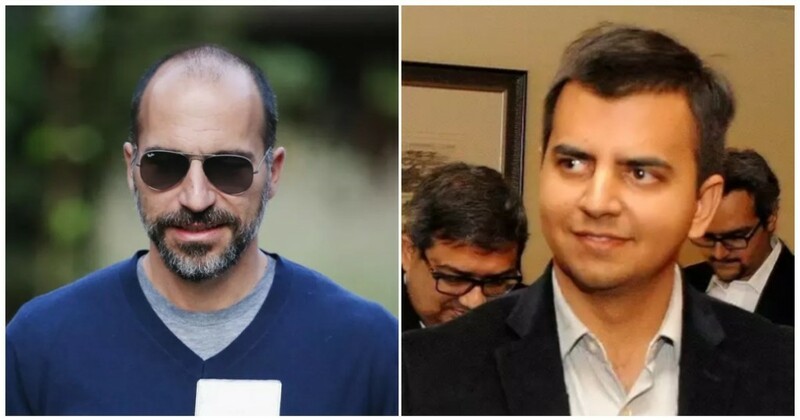 Another source said that Softbank was in favour of Ola acquiring the Indian unit of Uber, but both companies want to have a controlling stake in the combined entity, making the negotiations move relatively slowly thus far. Softbank, for its part, will be keen to nudge the process along. It’s been an early investor in Ola, and owns around 40% of the company. Just this January, it became one of the biggest investors in Uber after it acquired control of 14% of the global entity. Softbank, thus, has a finger in both pies of the ride hailing space in India, and is presumably not particularly enthused about how the two companies are bleeding each other dry. Uber and Ola have been undercutting each other in fares and driver incentives, and are both making losses — Ola lost Rs. 2,313 crore in FY2016, while Uber lost Rs. 18,500 crore globally in 2017. One easy way for the two companies to stem their losses would be through a merger — a merger would instantly take away power from both consumers and drivers and move it to the combined entity. Uber and Ola have been kept honest thus far by the overarching presence of each other — customers knew that if one overcharged, they could choose the other, and drivers knew that if one underpaid, they could start driving for the other service. But with both companies coming together to form one giant entity, Uber and Ola (Ula? Ober?) will be able to dictate terms across the board. In fact, the combined entity could end up becoming so powerful that it could well start attracting attention from regulatory authorities. The Competition Commission of India has already been involved in cases involving Uber and Ola — in 2015, Meru had taken Uber to court alleging predatory pricing, but the CCI had then dismissed the case saying saying Uber did not have a “dominant position.” If Uber and Ola were to become one entity, it could be hard to argue how they wouldn’t have a dominant position in the cab hailing market in India. Softbank, though, has orchestrated mergers between its ride hailing companies in other countries. Just last week, Uber sold its south east Asia business to Softbank investee Grab, but that wasn’t duopoly like India — Go Jek was the third player in the space that competed with them both. In China, Uber sold its business to Didi, but given how the government is all-powerful in the country, China isn’t particularly concerned about monopolies. In Russia, Uber had sold to Yandex, but Yandex’s share in the country, which is dominated by established taxi companies and illegal cabs, was only 10%. It remains to be seen how Uber and Ola will look to come together in India. This move had been on the cards for a while, but can have far-reaching consequences for the space. It likely won’t be in the best interests of either consumers or drivers — the combined entity will look to raise fares for customers to become more sustainable, and will have no reason to increase driver earnings. And urban Indian consumers, who’ve grown accustomed hailing a cab with a tap on their mobile phones, could soon realize that the party of cheap fares is slowly getting over.